Class Summary: During this exciting course students will get to take a glimpse inside the world of architecture and engineering. They will get the chance to perform several experiments including a tension test during which they will get to determine the toughest type of textile. 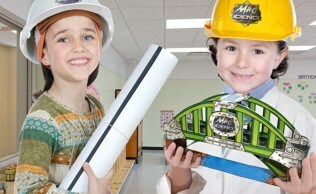 In addition the students will get to construct a model of a Roman arch block bridge with the help of our mad scientists. Educational Value: Did you know that shapes like triangles, cylinders, and arches are best for the building of strong structures? 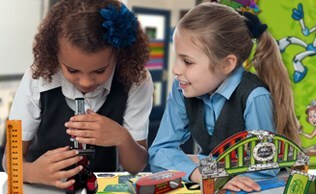 This course will teach children tons of useful facts regarding construction and engineering just like the one above. Not only will students get to dabble in several fun-filled activities during the course, but they will also get to take home their very own bridge-building kit, so that they can continue the fun at home!